Eight of the 14 EuroVelo routes pass through France – Andrew Sykes, author of a book about his ride along the Eurovelo 5, says each French leg makes an excellent standalone ride. Eight of the 14 EuroVelo long-distance cycle routes pass through mainland France; these are Eurovelos 1, 3, 4, 5, 6, 8, 15 and 17. For a cyclist interested in staying within the borders of France, the French portions of the EuroVelo network make excellent stand-alone routes. All but one of the routes pass continuously through France. Only EuroVelo 5 is broken by a detour through Belgium and Luxembourg (although I chose an alternative route that straddled the Franco-Belgian border rather than heading to Brussels). The French EuroVelo 1: From Roscoff in Brittany to Biarritz on the Spanish border, this is a journey of mainly flat terrain but of great sea vistas that will certainly brush away the cobwebs. As throughout France, the tourist infrastructure is abundant on the west coast and those who choose to camp their way from north to south will have no problems finding suitable places to pitch their tents. Passing as it does through Nantes and near Bordeaux, handily-placed to break the journey into three segments, there is no reason why you shouldn’t consider a few nights in an urban environment before once again escaping to the wind-swept shoreline. See our article on cycling around Lacanau in the Aquitaine section of the route. The French EuroVelo 3: As it makes its way south, this route cuts a great cross-section across France from the industrial north-east, through Paris, along the Loire Valley before gradually nudging its way towards the same destination as the French EuroVelo 1, just south of Biarritz. This would certainly be a journey of great contrasts; the capital with all his noise, history, museums and galleries to the the chateaux of the Loire before heading into the deep countryside that is the rural escape of south-west France. 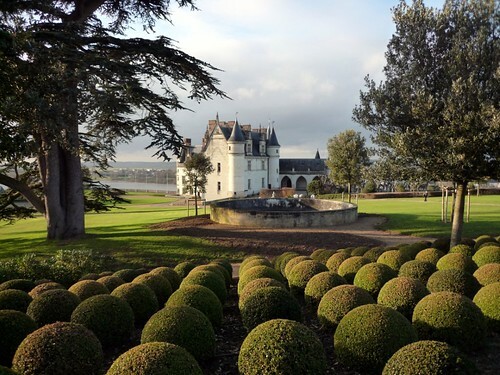 A spot of wine-tasting would be an activity not to miss around Bordeaux in Aquitaine. The French EuroVelo 4: This is to the north what EuroVelo 1 is to the east, hugging the northern shoreline of France from Roscoff to the channel ports near the Belgium border. The history of the north spans the last 1,000 years from the Norman conquest of Britain in 1066 to the Normandy landings during the latter stages of the Second World War. Often a part of France ignored by those heading for the sun further south and west, the north has much to attract any tourist, with picturesque towns such as Dieppe and Le Touquet must-sees on the EuroVelo 4. The French EuroVelo 5: Let’s imagine that like me, you decide to cut off what I called the ‘Belgian kink’. Your route from Calais in the north to Basel just over the border in Switzerland is a fascinating cycle through the diverse area that is north-eastern France. Initially, the route is reminiscent of rural northern England with its dry-stone walls and wandering cows, but past Luxembourg, the south starts to kick in with deep valleys of densely wooded forests and vineyards along the banks of the Meuse. Once you have hopped over the not insignificant Vosges mountain range (good practice for those continuing their journeys over the Alps), the route follows the Rhine into Alsace, where the German and French cultures combine so beguilingly, before arriving on the Swiss border at Hunningue. The French EuroVelo 6: This is a trip along the Loire Valley that starts in Nantes in the west before continuing to Angers with its magnificent slate castle in stark contrast to its elegant equivalents in Saumur, Amboise, Tours and Blois. After Orleans, the route takes you through Burgundy and Alsace before, just as the EuroVelo 5 does from a different direction, arriving in Basel. The infrastructure afforded to cyclists on this route is second to none, not only in France but probably across the entire European continent. It is well-signposted and every amenity is available to sooth the brow of even the most demanding of cyclists. Cycling the River Loire and Cycling Southern France: Loire to the Mediterranean by Richard Peace both cover off some or all of the French sections of this route. The Sustrans shop also has a dedicated guide. The French EuroVelo 8: The EuroVelo routes already mentioned have taken us along most of the six sides of the Hexagon; the EuroVelo 8 ensures that we don’t forget the south of the country, taking in the entire stretch of French Mediterranean coast from Argelès-sur-Mer in the west to Monaco in the east. However, the eastern portion of the journey is very different from the western portion. In the west, the route follows the coast, whereas after Montpellier, the route stays slightly inland and takes you over the increasingly challenging hills of Provence before once again joining to coast at Nice. The French EuroVelo 15: Eurovelo 15 runs both sides of the Rhine along the French-German border. As Mike Wells reports in our EuroVelo 15 article, the route runs through France for 200km, entirely in Alsace, running from the suburbs of Basle through Strasbourg to the small border town of Lauterbourg, 20km south-west of the German city of Karlsruhe. The French EuroVelo 17: Eurovelo 17 was inaugurated in 2016. It is a combination of the Swiss R1 Rhone and French ViaRhôna routes. It totals around 1000km and heads south, connecting the Alps, Lake Geneva, the lavender fields of Provence and the wild white horses of the Camargue marshlands to the French Mediterranean sea on safe and quiet cycle friendly paths and roads. Mike Wells has a guidebook that you can use for tackling the route here. Zoom into our interactive map to find bike-friendly accommodation on your route. See our overview of the entire EuroVelo network. The routes were set-up by the European Cyclists’ Federation (ECF), a Brussels-based organisation that brings together the various national cycling organisations that exist throughout Europe. The official site of the European Cyclists’ Federation gives some information about the network but of more practical use are the websites dedicated to particular routes. There is also EuroVelo map published by the ECF in 2008. Each of the EuroVelos has its own dedicated section on my website, CyclingEurope.org, where you will find links to official websites, blogs, books, routes and discussion forums. If you would like to add any links, please contact me via the links on CyclingEurope.org and I will be happy to add them to the list. Andrew Sykes is the editor of the CyclingEurope.org website, and the author of Good Vibrations: Crossing Europe on a Bike Called Reggie about his EuroVelo 5 bike ride. He lived for many years in various corners of France, initially working in the tourist industry before settling in Tours where he taught English during the 1990s. He returned to the UK in 1999 and now works as a Head of Modern Languages in a secondary school in Oxfordshire. When not extolling the virtues of France to his pupils, he takes time out to venture further afield on his bike. In summer 2013, he plans to cycle the Eurovelo 8 from Athens to Cadiz in southern Spain.